In a huge relief to former Chief Justice of India K G Balakrishnan, the centre today submitted before the supreme court that detailed probe into complaints that his kith and kin amassed wealth during his tenure as Chief Justice of India from January 2007 to May 2010 “yielded nothing”. Attorney General Mukul Rohatgi appearing for the Centre said there cannot be a CBI probe afresh as it might create certain dangerous precedents as it related to issues pertaining to amassing of disproportionate assets and it could even open a “pandoras box” and an avalanche of similar petitions. 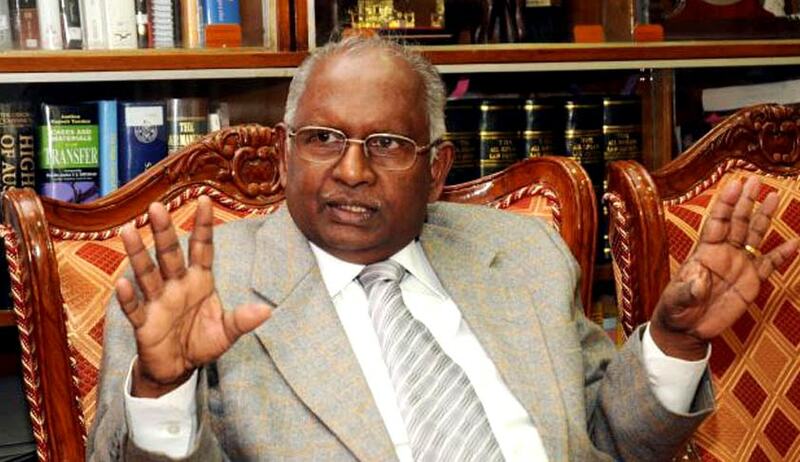 The clean chit from allegations that his relatives held disproportionate assets came back to haunt justice Balakrishnan six months after he retired as NHRC chief and a full five years after he superannuated as Chief Justice of India. Taking up the case after a gap of one and a half years, the apex court bench had on September 15 sought Rohatgi’s assistance to hear a petition field by NGO Common Cause headed by noted lawyer Prashant Bhushan seeking a CBI probe into alleged amassing of wealth by kith and kin of Balakrishnan during his tenure as Chief Justice of India from January 2007 to May 2010. Appearing in the Supreme Court, Attorney General Mukul Rohatgi said enquiries against former CJI sets a dangerous precedent. “We cannot do anymore,” the AG submitted. Rohatgi said the PIL to oust Justice Balakrishnan has become infructuous as he has already stepped down from the post. “Nothing survives in the petition,” AG said. "If the relatives can show they have the source..." Justice Misra persisted. But the AG said he would provide the bench with the status report of the IT probe in the case. Noting that there cannot be a further enquiry, the AG referred to how similar allegations were made in the past against another former CJI who recently passed away. The government was granted an adjournment by the court. The case has been listed for further hearing on January 19. Bhushan had made two primary prayers in the plea filed in 2014. First that he should be removed as NHRC chief pending investigation and second for a CBI probe into the irregularities. The first one has already becoming infructuous after justice Balakrishnan retired from the NHRC post on May 11, 2015. The government had for the first time filed an investigation status report on May 13, 2012 detailing large payments allegedly made to his two sons-in-law and brother when he was the CJI. A bench of Chief Justice S H Kapadia and Justice Swatanter Kumar was informed by then attorney general G E Vahanvati that the income tax department's probe had also revealed that the properties acquired by the sons-in-law and brother at this time were declared but prima facie appeared to be held benami and grossly undervalued. The IT department had then handed over a probe report to the court in a sealed cover. When the controversy about the disproportionate assets of his relatives first appeared in the media, Justice Balakrishnan had said that he had nothing to hide and if his relatives were in possession of unaccounted wealth, it was for them to answer the I-T department. When the bench asked about the status of other investigations, Vahanvati had said, "The representations received in the PM's Office were forwarded to the ministry of home affairs, which in turn were sent to the CBI." However, the CBI appears to have not investigated the allegations because of the vagueness of the charges leveled in the representations.